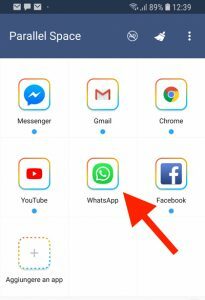 This article is intended to show you how you have two different WhatsApp accounts on a single phone. Right now, this guide is only meant for Android users, as this functionality is not available on the iPhone. Within WhatsApp, you always have the option of changing the number that is associated with the account that you have without losing all of your information and conversations. However, you cannot (officially) run two different accounts from the same device. If you have a phone with dual SIM technology, which is becoming more and more common, you can have two separate phone numbers for WhatsApp accounts, with me so far? Now, there are going to be limitations that WhatsApp will try to instill on the users here. In theory, this is to prevent multiple accounts on a single device. Neither Android nor iPhone offer an option within WhatsApp to change between two numbers within the application. So, it forces you to use two different smartphones, to use a dual SIM and have completely different profiles, or just concede to add business and personal affairs into one account that you have. Actually, you have two solutions that can help you to run two accounts on your device, and we will be looking at both of these more closely. Parallel Space is an app for Android devices that allows you to use multiple accounts of several different kinds of apps and services simultaneously on a single Android phone. With this application, you can create dual accounts for any app that you use. So, it doesn’t just stop with WhatsApp, you can have two Instagram accounts, Facebook accounts, Snapchat accounts and even multiple game accounts. Setup your WhatsApp with new information. Now you have two accounts running simultaneously for WhatsApp. Following this same set of steps, switching out WhatsApp for any other application, will allow you to create dual accounts for it as well. ☝Be advised: This application (Parallel Space) could increase the consumption of your battery life. First, make sure you are running the most recent version of the Parallel Space app. Now try to access your contacts through WhatsApp, which might ask you to give Parallel Space permission to access this information as well. If for some reason you cannot access this information, go to the app permission menu in settings. Choose to allow Parallel Space to read contact information. 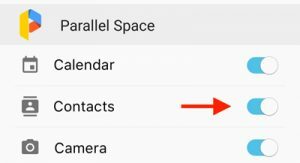 Switch back to Parallel Space WhatsApp and check to verify that your contacts are there and accounted for. 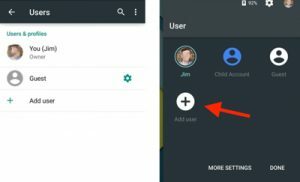 Android devices have a helpful feature called Guest Mode that can aid you in your quest for dual accounts. Turn it on and you can let someone else use your phone (controlling what they have access to and what they do not). They can open the default apps on your phone, but cannot see the data it contains. No matter who it is, they cannot see your private information because these services will not be signed in to. Now, in order to get two WhatsApp accounts on the same phone, you can just utilize guest mode to help you accomplish this. (Be advised that guest mode is not on every Android device out there). By adding a guest user to your phone, you can utilize this secondary function as an independent phone. This means that you can install applications like WhatsApp for this guest mode and use it with new credentials. Set up your new account, enter the other number you have. If you do not have a dual sim phone, your other device will get a verification code sent to it. Once you have configured it all, you are ready to run WhatsApp in this mode. Open the notification bar on your Android device and double tap the user icon. After a moment, your phone will initiate guest mode and give access to only those applications you have approved when setting it up. Open the notification bar and double tap the user icon again. Choose the profile you want to switch to. I hope that this guide helped you to get the two accounts you wanted for WhatsApp on your Android device. If you have any trouble or questions, drop a line below so I can get back to you as soon as possible.